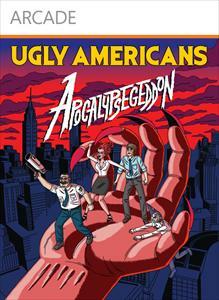 Discover the awesomely hilarious world of Ugly Americans and stop the evil plot to bring the end of days! Play online or locally for up to 4 player co-op dual stick shooting action. Play as Leonard (the drunken wizard,) Grimes (the tough cop,) Callie (the hot demon chick,) or Mark (the lucky human) and use their special abilities and the BSU-2000 to annihilate everything in sight. Our friends at the DOI have uncovered a plot to bring about the End of Days and only you can stop it. Level up your heroes, equip them with 30 different weapons, and collect demon babies to boost your abilities as you take on hordes of demons, zombies, man birds and giant (yes giant) boss battles! Unlock a free full episode from the new season, two avatar awards and extra scenes from season 1! Where the hell was Randall while you were preventing the end of days? Explore 4 completely new game levels that you can play locally or with friends online as you follow Randall’s clues into his zombie misadventures. Includes 3 new demon babies you can ‘adopt’ to boost your abilities to the next level. 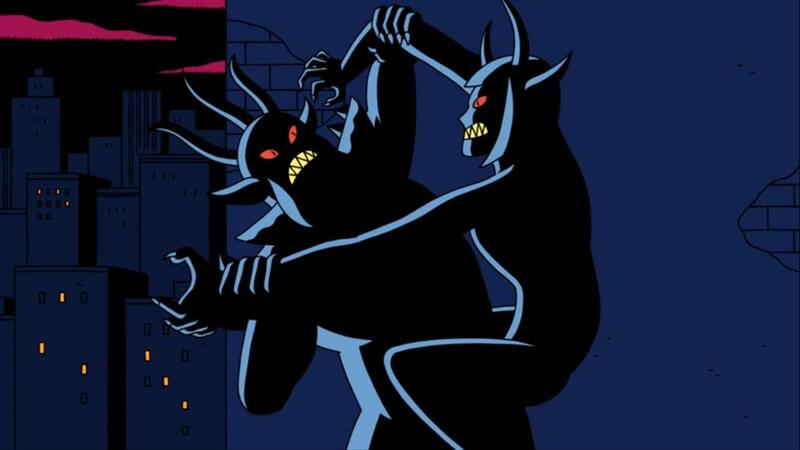 Hordes of extra difficult enemies await you on this exciting and hilarious addition to Ugly Americans: Apocalypsegeddon. Zombies and werewolves in New York City? They just want to get their piece of the american dream. Meet these interesting New York City inhabitants and other non-humans. Download Ugly Americans: Apocalypsegeddon on Xbox Live Arcade and help them save the world from the End of Days. For more info on the game, go to www.UglyAmericansTheGame.com. The do-gooders of the Department of Integration are reporting for duty. 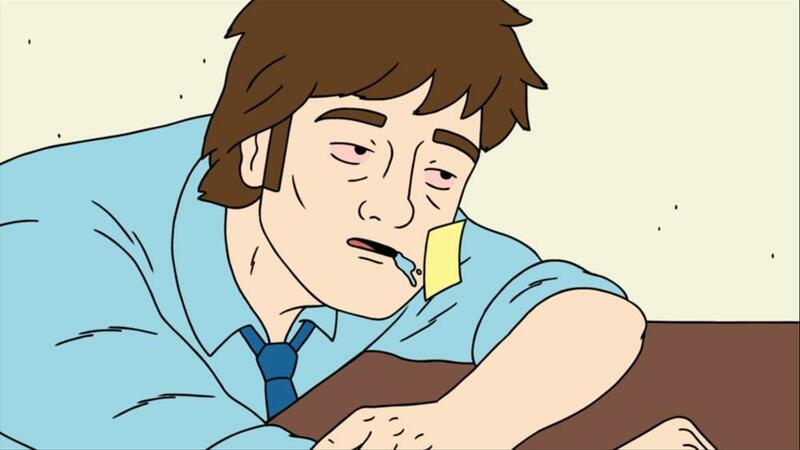 Mark, Leonard, Callie and more of the Ugly Americans crew are putting on their prettiest faces just for you. 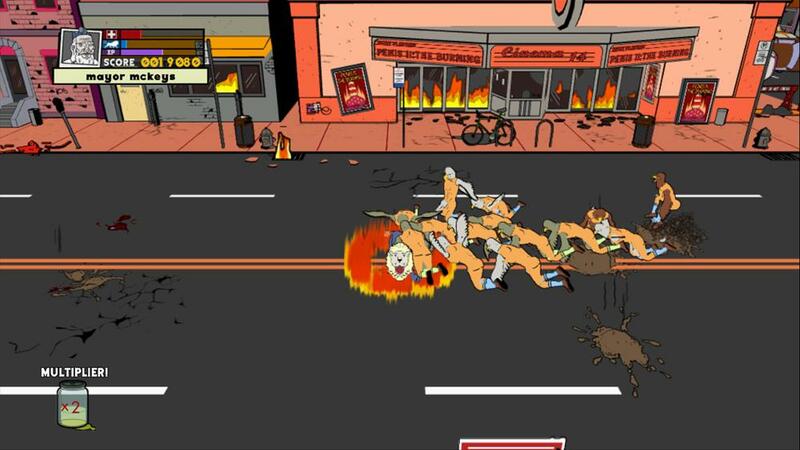 Download Ugly Americans: Apocalypsegeddon on Xbox Live Arcade and help them save the world from the End of Days. For more info on the game, go to www.UglyAmericansTheGame.com. They may be demons, but they have big hearts. These folks just want to live out their lives like regular citizens...and do their best to bring about the End of Days. 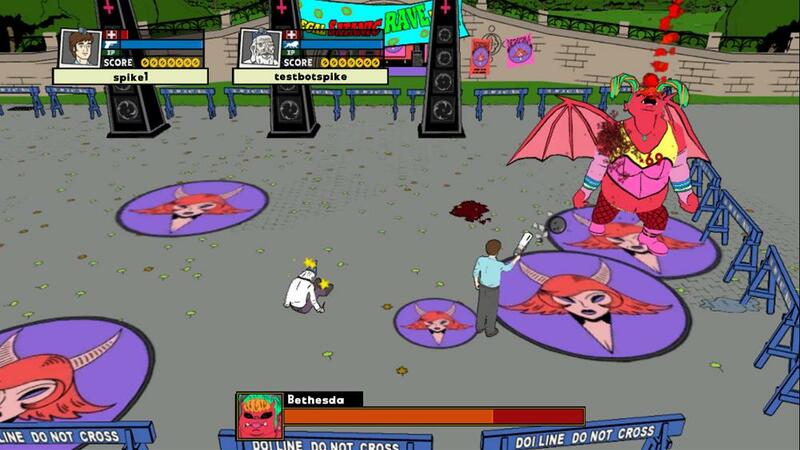 Download Ugly Americans: Apocalypsegeddon on Xbox Live Arcade and save the world from the End of Days. For more info on the game, go to www.UglyAmericansTheGame.com. Welcome to Hell! Skin your Xbox Dashboard with this devilishly hot cityscape and see some familiar faces. 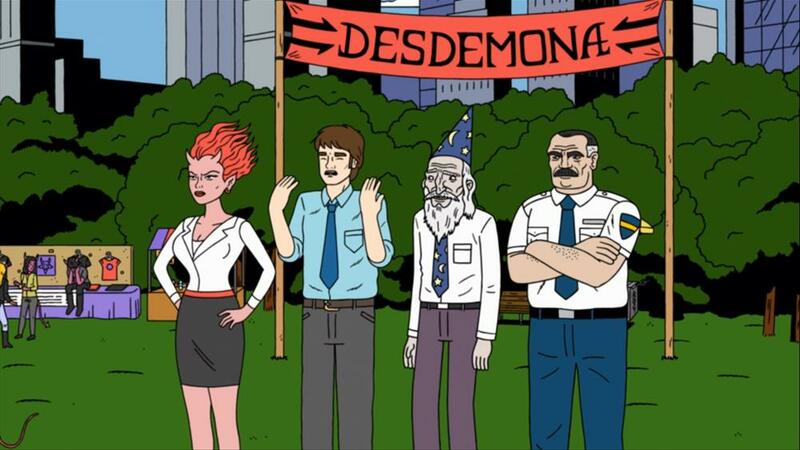 Mark, Randall, Callie, Leonard and more of the Ugly Americans crew are chilling in Hell. Download Ugly Americans: Apocalypsegeddon on Xbox Live Arcade and help them save the world from the End of Days. For more info on the game, go to www.UglyAmericansTheGame.com. Conjure up a little magic with this genuine wizard wand. Meet more of New York City's finest Ugly Americans and help prevent the end of days by downloading Ugly Americans: Apocalypsegeddon on Xbox Live Arcade! "Go Zombie" like Mark's crude but lovable roommate, Randall. 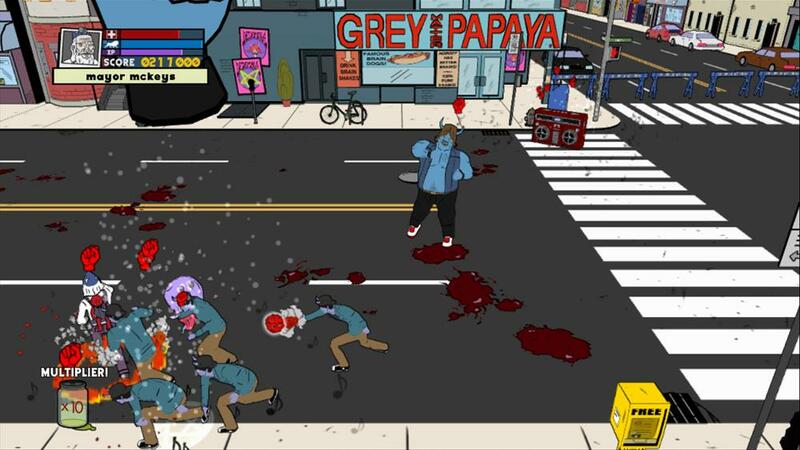 Meet more of New York City's finest Ugly Americans and help prevent the end of days by downloading Ugly Americans: Apocalypsegeddon on Xbox Live Arcade! Show your support for the folks of the DOI as they try to safe the world from the end of days! Rock the Ugly Americans Apocalypsegeddon Tee and download Ugly Americans: Apocalypsegeddon on Xbox Live Arcade! Look devilishly handsome in this power suit. Meet more of New York City's finest Ugly Americans and help prevent the end of days by downloading Ugly Americans: Apocalypsegeddon on Xbox Live Arcade! He's weird, a little creepy and undeniably adorable. Meet more of New York City's finest Ugly Americans and help prevent the end of days by downloading Ugly Americans: Apocalypsegeddon on Xbox Live Arcade! Warm, fuzzy and cute…well, note quite. Meet more of New York City's finest Ugly Americans and help prevent the end of days by downloading Ugly Americans: Apocalypsegeddon on Xbox Live Arcade! Show some teeth in your very own vampire mask! Meet more of New York City's finest Ugly Americans and help prevent the end of days by downloading Ugly Americans: Apocalypsegeddon on Xbox Live Arcade! Feeling a little devilish? Show your horns with the Ugly Americans Demon Trucker Cap. Meet more of New York City's finest Ugly Americans and help prevent the end of days by downloading Ugly Americans: Apocalypsegeddon on Xbox Live Arcade!